November heralds the season of thanksgiving and celebrating the bounty of the harvest. It's a time when families gather to cook, share meals and traditions, and express gratitude. November is also National American Indian Heritage Month and a time for honoring veterans. 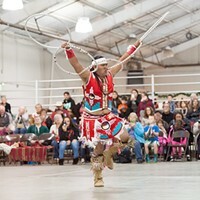 For the past 36 years, the Northern California Indian Development Council has sponsored the Northwest Inter-Tribal Gathering & Elders Dinner, beautifully combining all these things while offering a special glimpse into the Native and tribal customs that make our area so rich. This year the gathering takes place Saturday, Nov. 11 from 10 a.m. to 7 p.m. at Redwood Acres Fairgrounds (free admission). The community event is an opportunity to honor all elders and veterans. For all elders, regardless of ethnicity, there's a free harvest dinner beginning at noon (with dinner available to all others for a nominal fee) followed by a veterans honoring ceremony and an Elders' Gifting Ceremony at 3 p.m. If you miss out on the turkey feast, fear not: There's fry bread and buffalo burgers a-plenty. 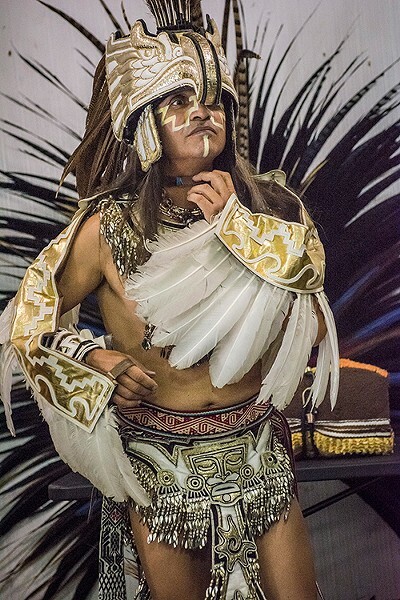 Throughout the day, visitors can peruse the many American Indian arts and crafts booths while taking in intertribal performances of Native singers and tribal dance demonstrations that include: Brush, Tolowa Honoring, Aztec, Hoop Dancers, a drum group and Pow Wow demonstrations. This year's emcee is Bruce Kaye (of the Navajo Nation) and the theme is "Continuing the Healing after 157 Years." For more information about the event, visit www.ncidc.org.